Gantt charts are used in project planning almost by default. Microsoft Project has the Gantt chart as the standard user working screen. Gantt charts offer instant visibility of a project by showing the relationships and timelines of activities. It is hard to imagine project plans without a Gantt chart. For Production orders the Gantt chart is less critical, but the graphical scheduling it offers is welcome for production supervisors and schedulers. Its “Resource view” is also very useful for that same group as it provides graphical information about the workload on a Resource group or Resource. 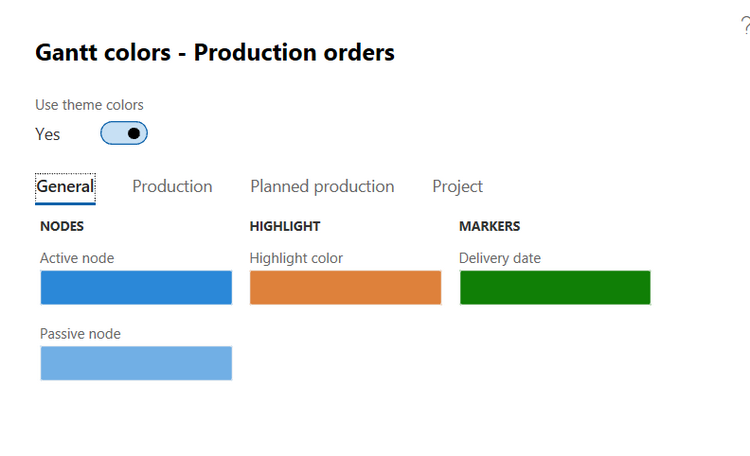 The Gantt chart for production in Dynamics 365 for Finance and Operations (D365FO) has a refined set of options for color display that requires some special attention. It took me a while to figure it out and I had to ask the original designers for certain details. This blog will provide the colorful details so users can decide how to assign meaningful colors in your Gantt chart.